Although I'm not much on New Year's resolutions, I do find it helpful to choose a word or phrase of focus for each new year--something in particular to meditate upon and pray about. As I've contemplated what my focus for 2013 should be, I've listened for God's guidance. Through my reading, prayer, and listening, I think I know what I most desperately need this year. I've always been scrappy. I'll debate, I'll argue, I'll not go down without a fight. And that attribute has served me well in many ways over the years. But I'm realizing that it's also held me back from experiencing some of the riches of God's grace. I write and speak about grace, about life in the Kingdom of God. But when it comes to my own life, I realize that I need to be more trusting. More certain of God's love and care. More confident in God's provision for me and my loved ones. There's nothing standing in my way. God has proved himself time and again. But I still need to relinquish my desire to have things my way. I need to rest in the knowledge of the love of God. God is so kind, so respectful of us. He won't take the throne in our lives; He waits for us to crown him King and then marvel at the goodness of His rule. What about you? Have you thought of a focus for 2013? Please share! I'm joining Layla and Kevin at The Lettered Cottage for "This Little Word of Mine"
and Amanda at Serenity Now for Weekend Bloggy Reading. Excellent words of wisdom! We could want nothing more in the new year than to surrender. Great choice! My word is INTENTIONAL. I've never thought about having a word for the year until this year. My word is going to be "happy." I am determined to be happy and find happiness in all things, large and small and allow myself to be happy! And I LOVE your word, surrender. Sometimes we need to step back and surrender and let Him do his will. It's not always easy but it's always for the best! Wonderful! I love reading about everyone's words, and I'm working on my post. Good luck surrendering this year--that's awesome! Love this post Richella, very uplifting and very good advice! Have a great evening. My word is Hope....a word I am desperately clinging to these days....maybe I should add the word surrender to my list! I love to read your words on Grace. No matter where we are in this walk with God, I believe you express something we all need daily. "Surrender" I can't think of a better word and sadly it's almost counterculture today. I will choose to "Abide", as in Psalm 91. I agree with you and really appreciate your words. I love that hymn. Beautiful thoughts, Richella. Thank you for your honesty. I've never considered how God is respectful of us. It's shameful how often I take advantage of that. And ultimately, I'm the one who suffers for it. Blessings to you throughout this new year! 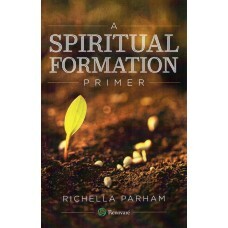 Oh my goodness, Richella, you surely picked a challenging word. God doesn't force us to surrender. I wonder why it is so difficult to surrender when his way is really best. I'm certain that when you reach December 31st, you're going to look back and see how much you've grown. I think I have my word...will know for sure in a few days. Your word sounds divine. To simply surrender. Bliss. In fact, I linked up my own word for the year and it was trust. So similar to your own post. Here's to a year of going with the Divine Flow! 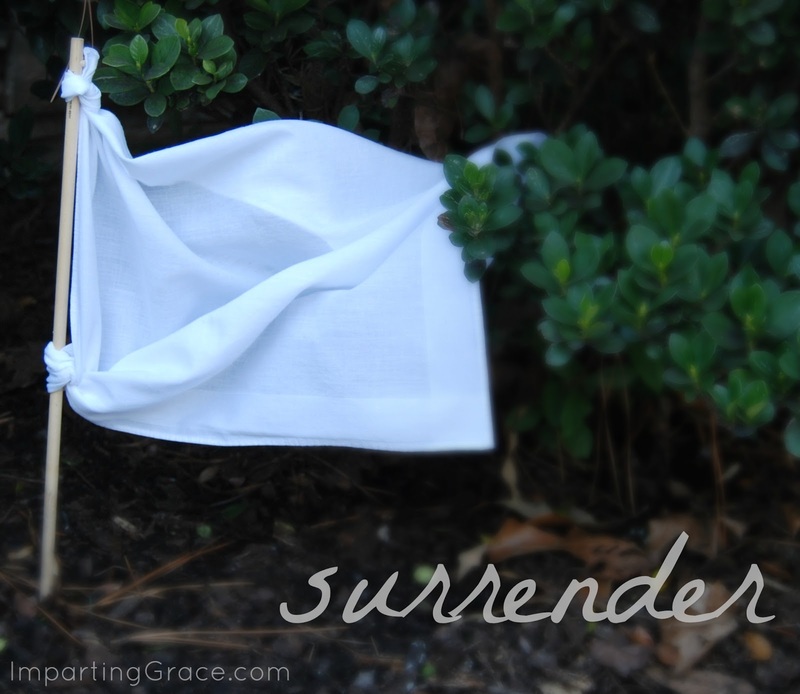 I love the white flag surrender - it's where we should all begin, surrendering to Him. The rest of the words will follow...and it gives me Hope - which is my word for this year. Words of wisdom. That is all that God requires from us but often it is the hardest thing for us to do.